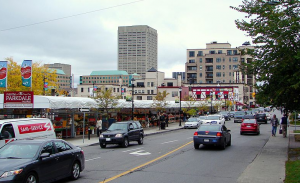 Not far from the communities of Hintonburg and Westboro, Wellington Village is an amazingly convenient Ottawa neighbourhood. Within walking distance of a variety of restaurants and entertainment, Wellington Village is close by to everything a person could want. With the return of our brief Canadian springtime comes the yearly event that makes many of us want to run and hide. Spring Cleaning: a day that only the most productive of us can appreciate.